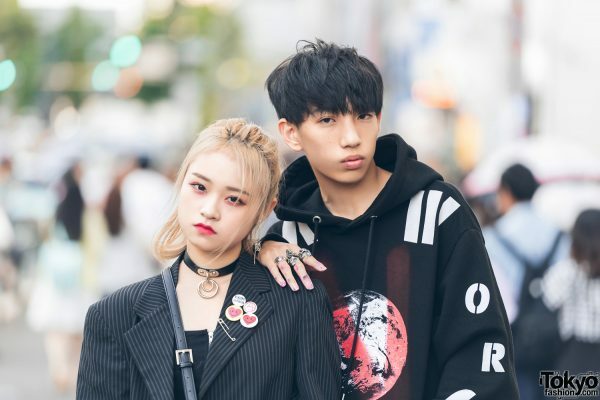 While on the street in Harajuku, we met 18-year-old Tomomi and 17-year-old Ryunosuke, both students. They caught our eye with their all black street style looks. 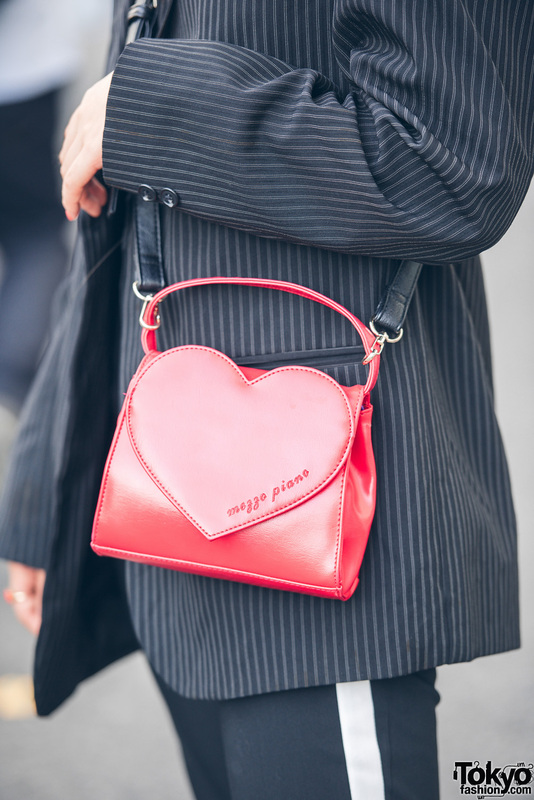 Blonde-haired Tomomi’s outfit features vintage pieces such as a pinstripe blazer, a zipper tube top, track pants, a red heart handbag, and Dr. Martens boots. 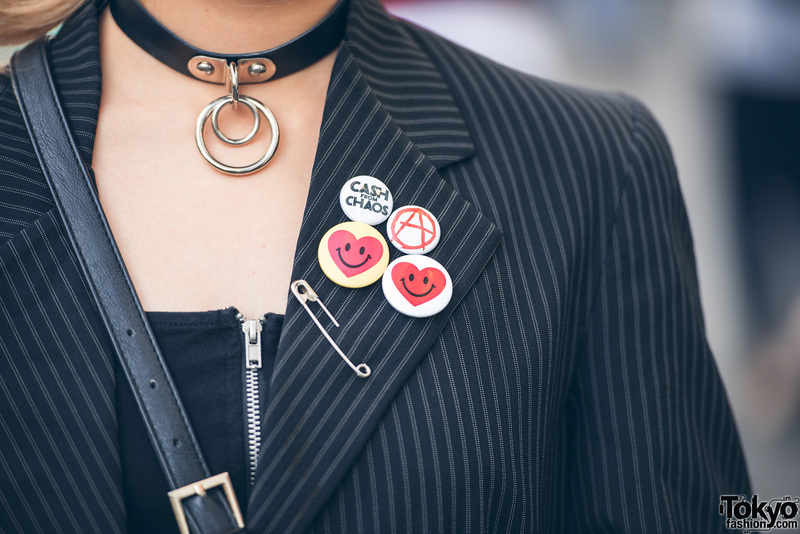 Her accessories include an O-ring choker, safety pin earrings, badges, and a heart ring. She loves listening to K-pop music. Follow Tomomi on Instagram. Ryunosuke’s look consists of a 99%IS- hoodie sweater, D.I.Y. 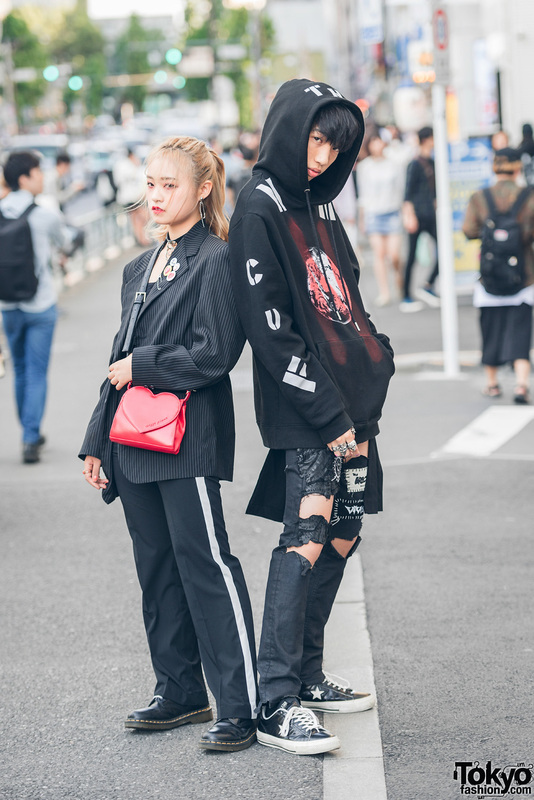 ripped pants, Converse leather sneakers, and silver rings from Tokyo Human Experiments. His favorite brands are Fetis and LT Tokyo and he listens to Hat Trickers, The Erections, Vivisick and Michael Jackson. Follow him on Instagram.